Blog New Open Studio/Gallery plus FRAMING! 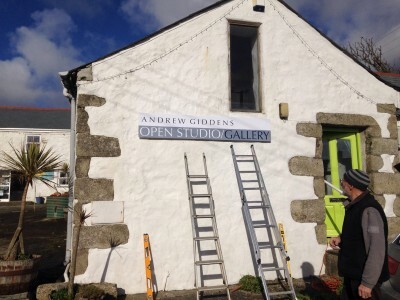 Excited to opening my new Studio over the Easter weekend! I have moved from my Studio in Praa Sands to a more prominent position down in Perranuthnoe! This is a much larger space and enables me to paint bigger pictures, which I absolutely love doing, and also allows me to frame my work in my studio. So now all of my framing equipment has moved from my Dad’s garage, leaving room for him to set up a new woodworking bench. My Dad has been framing my work amazingly for many years, and now he has officially retired! Big thanks to him for doing such a great job for such a great price. Now I’m head framer, but I’m still glad I can call on him when I have to work out the measurements for a tricky frame, or when Im trying to fathom out the Keencut mount cutter!